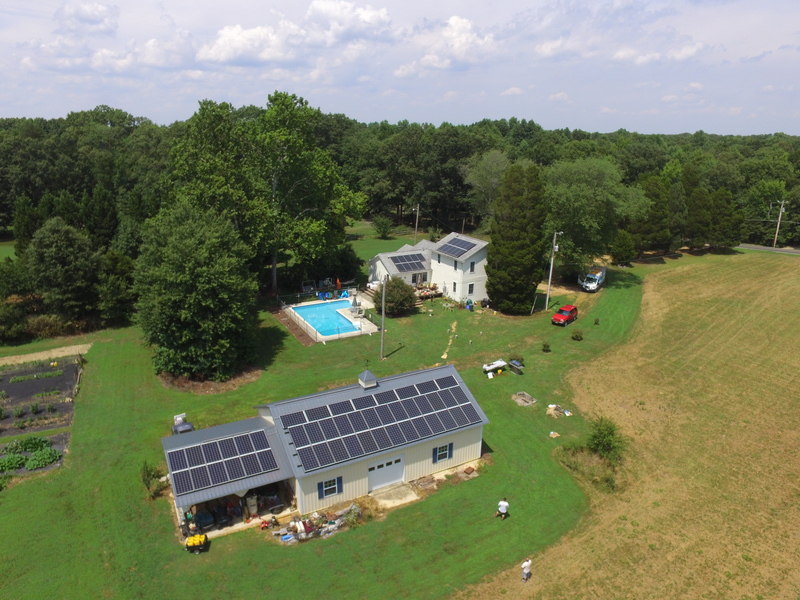 Back in early 2016 MSSI installed this 19.5 kW system in Charles County. 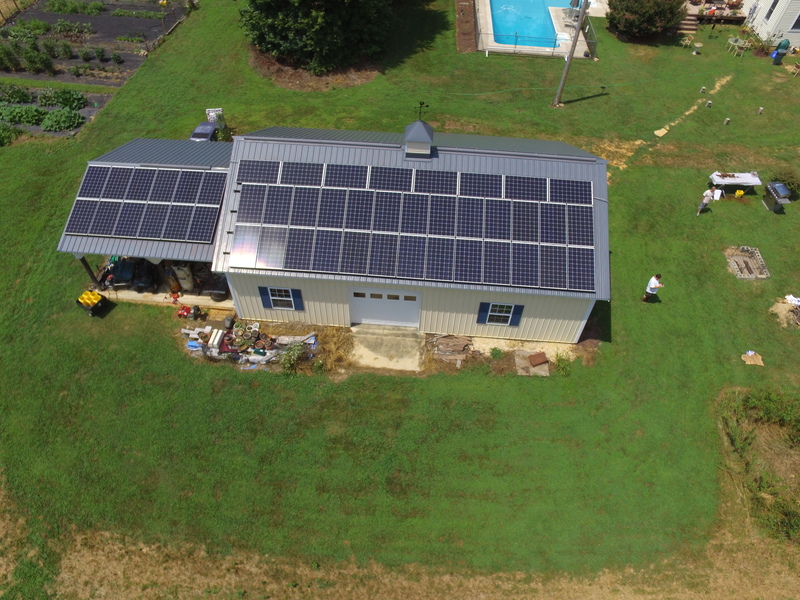 This Customer wished to max out his rooftop and generate as much energy as possible, so we used both his barn’s and home’s roof. 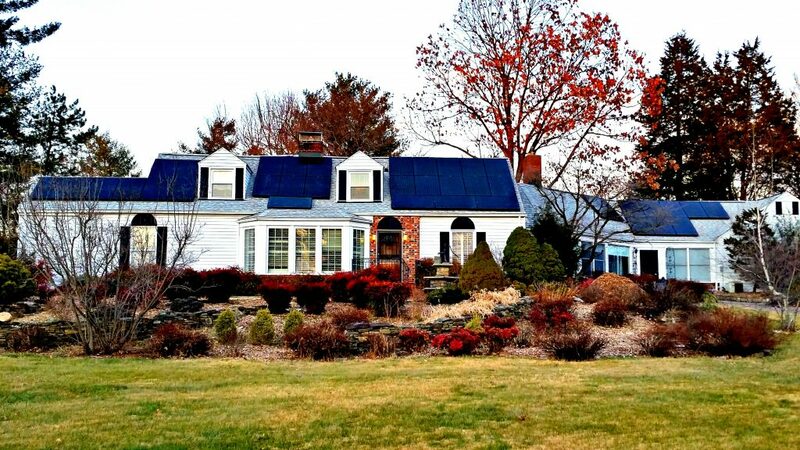 Since installation in January, this system has produced a total of 14,230 kWh and is slated to cover his usage by 109% this year. 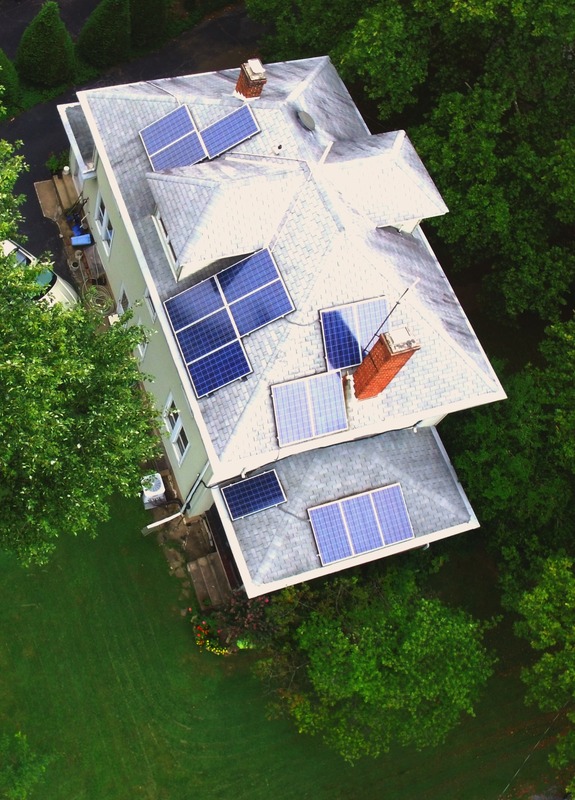 Additionally, since system turn-on in January, this family has saved 21,617 lbs of carbon dioxide from entering the atmosphere, equivalent to 555 trees having been planted. 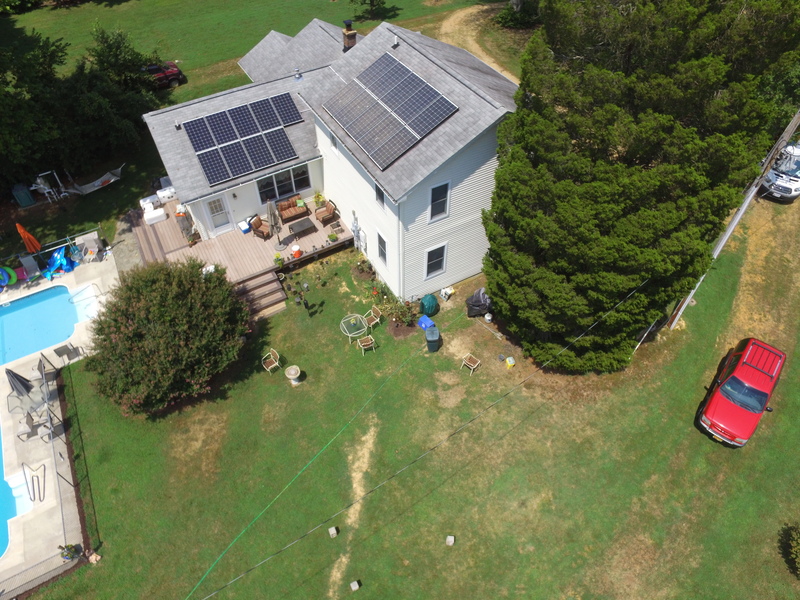 Picture taken from a Solar PV Array MSSI installed in Silver Spring, Maryland. 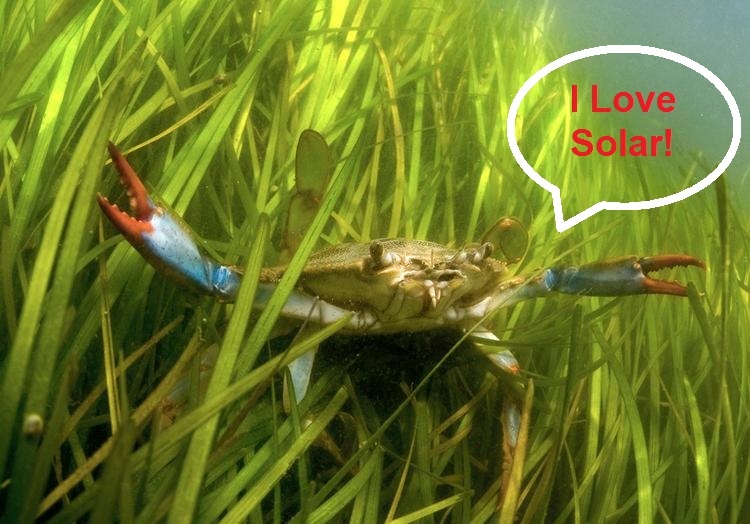 You have solar panels and you love them. You’re happy with what the sun is doing for you, but you also want a little bit of shade. We understand, so in honor of amateur horticulturalists everywhere we thought it’d be helpful to put together a starter list of small trees/large shrubs that can provide a little bit of PV-friendly shade in your landscape. In lieu of using front porch roof structures, pergolas, arbors, awnings or other horizontal measures to shade the home, use native, slow to medium growth deciduous trees/large shrubs for the same purpose. 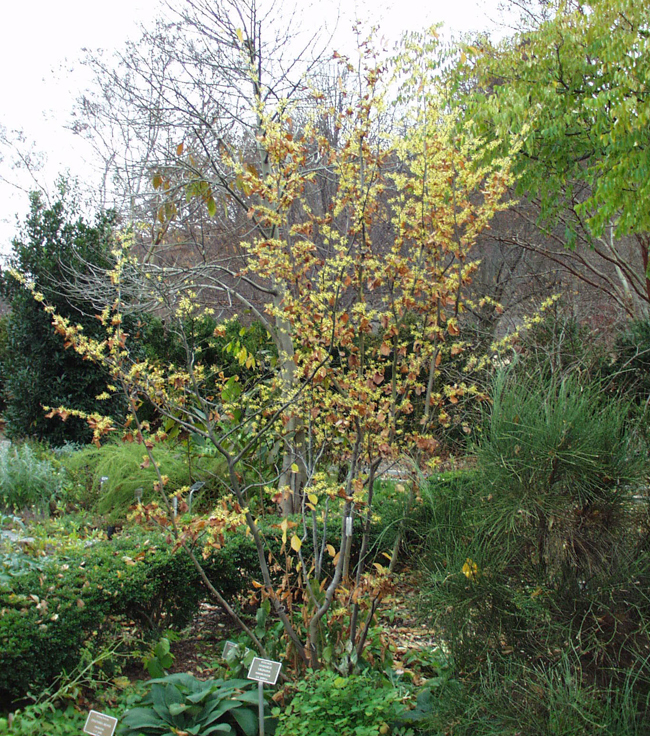 Use species you might already be familiar with like Dogwood and Eastern Redbud. They are deciduous and by dropping their leaves in the winter, they will still let the sun in to warm the home during the winter months. Below are some you may already know and some that may be all new to you. 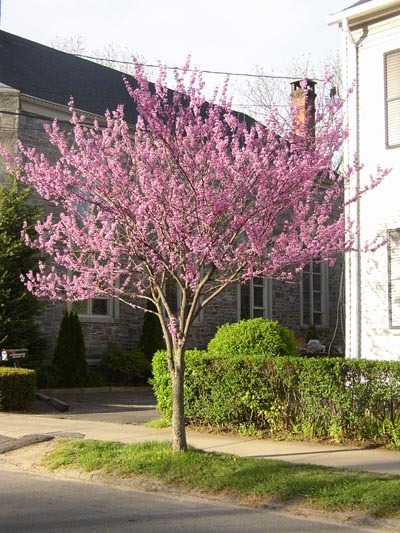 Redbud is a 15-30 ft. tree, it’s pink to purple and sometimes white flowers create a showy spring flower display. Vase shaped with distinctive heart-shaped leaves, turning golden in the autumn, and tolerates full sun. 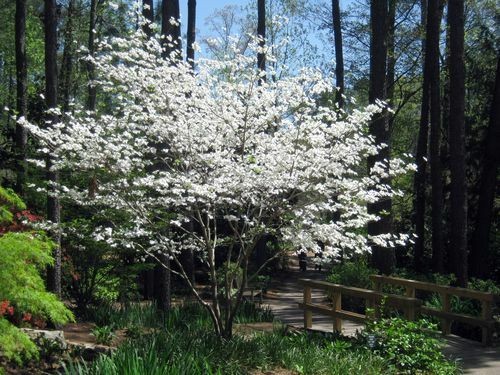 Flowering dogwood is a 20-40 ft., single- or multi-trunked tree with a lovely spreading crown graced with white and sometimes pink flowers for a long bloom period during the spring. Gorgeous scarlet foliage in the autumn and produces small red berries that birds prize. Does best in part shade, but will tolerate full sun. Is also the larval host for the Spring Azure butterfly. 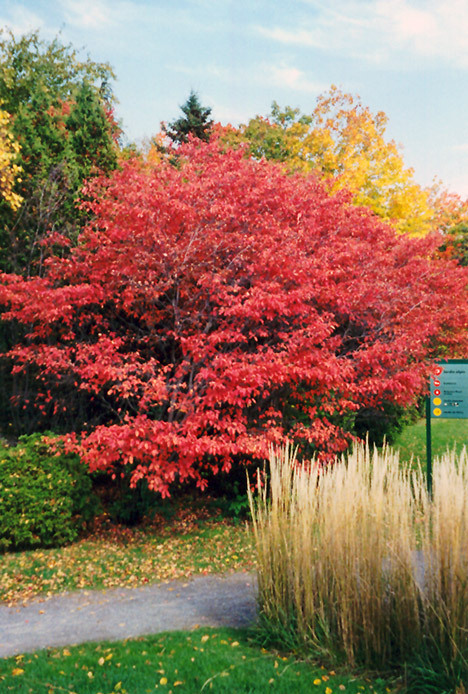 Serviceberry is a small, understory tree or large, multi-trunked shrub with many upright branches that grows 6-20 ft. high. Its crown is delicate and open. Multitude of white blossoms followed by a small, crimson-colored, apple-like fruit that wild birds adore. Fall foliage is orangey-red. Tolerates all light requirements. 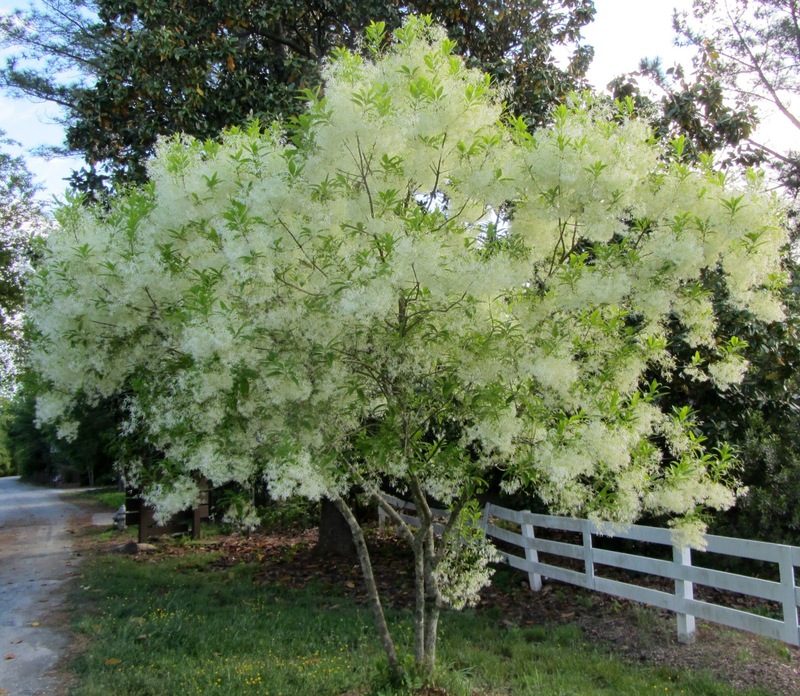 White Fringe Tree is a 15-30 ft., deciduous tree or shrub that displays clusters of fragrant, white blossoms during the spring. After flowering, dark blue, clusters of fruits are produced. One of the last to bloom and leaf out in the spring, this will add a last burst of color to the spring show. Prefers part sun. Larval host for the Rustic Sphinx. 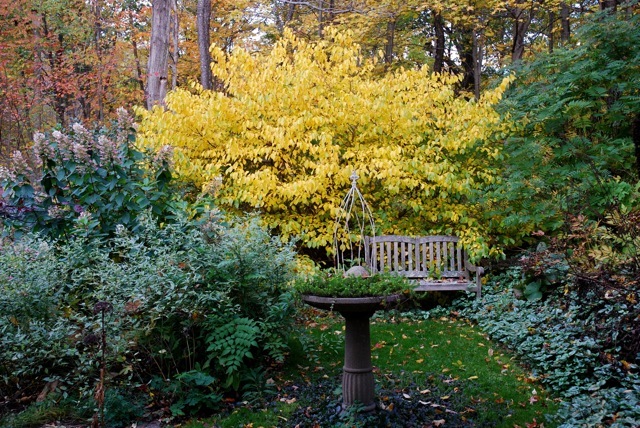 Erupting into golden blooms a full month before the oft-planted non-native Forsythia, Witch Hazel is a small tree that is often multi-trunked and usually growing 10-15 ft. tall. The large, crooked, spreading branches form an irregular, open crown. Its flowers are not only yellow, but deliciously-scented. During the summer months, its foliage is light green, but then turns a brilliant gold in autumn. Bark is smooth and gray and full sun brings out the best in this tree. 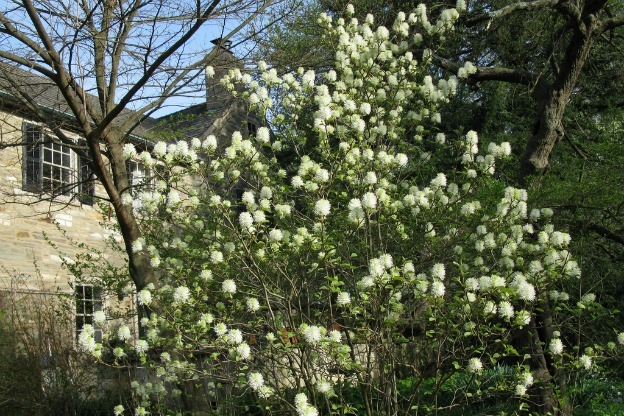 Large Fothergilla is a 6-12 ft., deciduous shrub with lovely crooked, multiple stems. Gorgeous blue-green foliage is colorful in autumn. The fragrant flower, appearing as a mass of stamens, is white, looks like a fuzzy bottle brush and appears after the leaves have come out. Full sun is best for this beauty. Because of it early display of yellow flowers, Spicebush is often referred to as the “Forsythia of the wilds.” It is a single- or multi-trunked shrub, 6-12 ft. tall, with glossy leaves and graceful, slender, light green branches. Much like the aforementioned forsythia, the buds traverse across each twig and are followed by glossy red fruit. Both the fruit and foliage are aromatic. Leaves turn a colorful golden-yellow in fall. Tolerates all sun intensities and is the larval host for three butterflies: Eastern Tiger Swallowtail, Spicebush Swallowtail and Promethea Silkmoth. 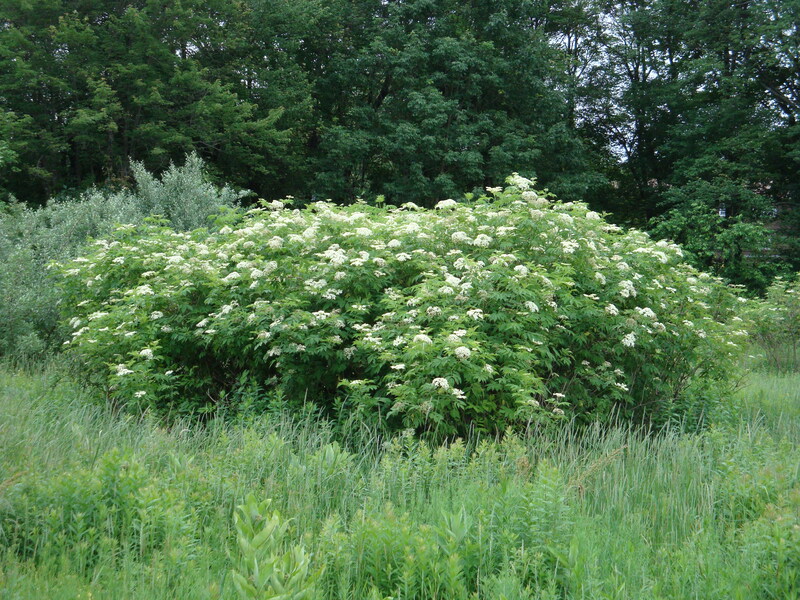 Black Elderberry is an open and graceful shrub with both woody and herbaceous branches, growing up to 12 ft. tall. Flowers are disk-shaped, white, in broad, flat, conspicuous clusters up to 10 inches or more in diameter, appearing from May to July. Fruit is dark-purple, berrylike, and edible. Birds love them. 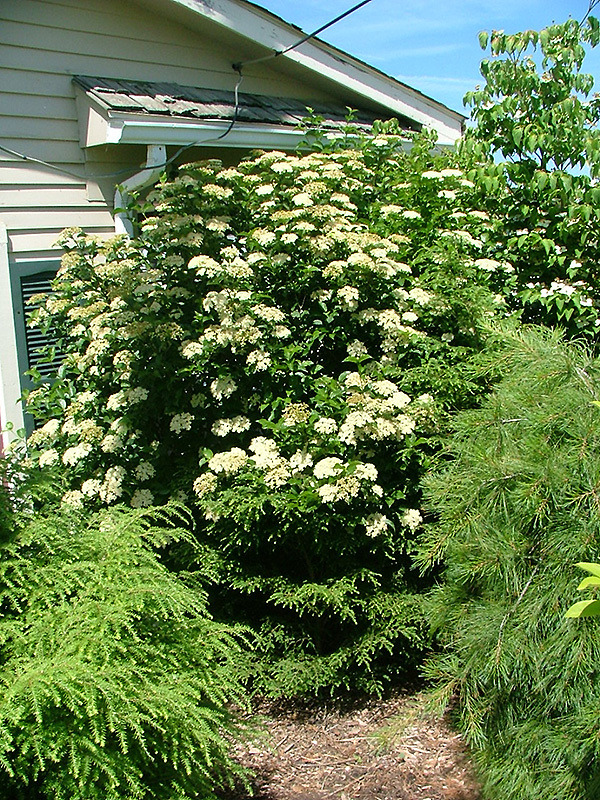 Arrowwood Viburnum is a 6-8 ft. shrub with multiple stems in a loose, rounded habit. White, flat-topped flower clusters are followed by dark blue berries. Gorgeous yellow to wine-red foliage in the autumn. Tolerates all intensities of sun and is the larval host for the Spring Azure Butterfly. A few notes: on the west side, use vertical shading to stop the low-angle, late-afternoon sun from reaching walls and windows. This can take the form of trellises and vines on the wall, screen walls, shrub-like plants and trees. As far as height of trees, stick with a tree or shrub that isn’t going to get higher, or much higher, than the south-facing roof line. 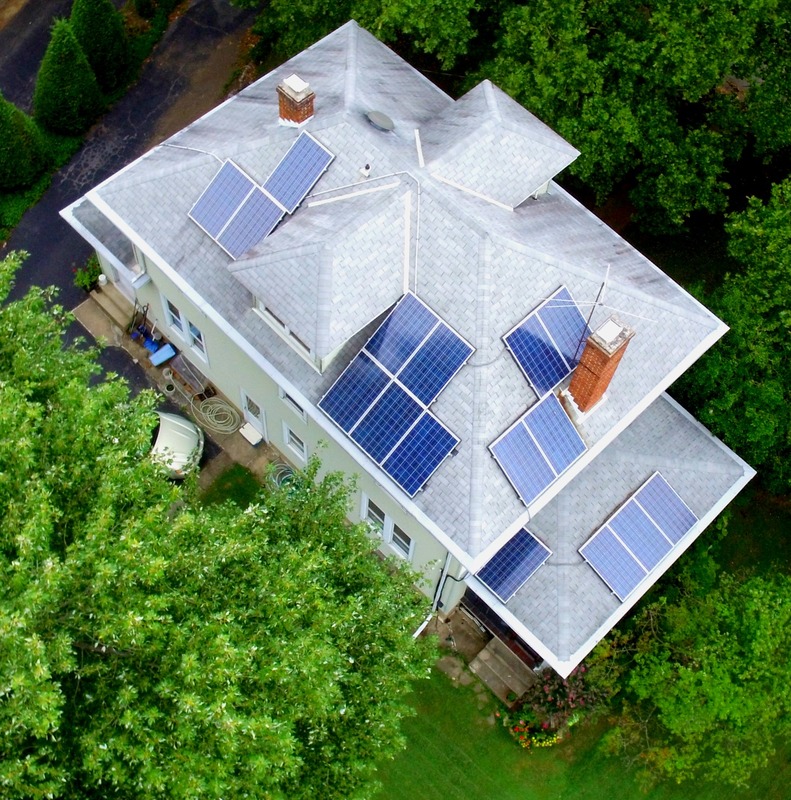 Shade from the west will shorten the productivity your PV modules each day, whereas shade from the south dramatically reduces production all day long.